Kick off your visit on the 24th (Fri): try to win big at Paris Las Vegas and then take in panoramic vistas at Eiffel Tower Viewing Deck. Here are some ideas for day two: explore the stunning scenery at Red Rock Canyon National Conservation Area, then try to win big at Bellagio Hotel and Casino, and then admire the natural beauty at Bellagio Conservatory & Botanical Gardens. To see other places to visit, ratings, where to stay, and other tourist information, refer to the Las Vegas trip builder website . London, UK to Las Vegas is an approximately 14.5-hour flight. You can also do a combination of train and flight. The time zone difference moving from Greenwich Mean Time (GMT) to Pacific Standard Time (PST) is minus 8 hours. Traveling from London in May, expect nights in Las Vegas to be a bit warmer, around 20°C, while days are warmer, around 36°C. Finish up your sightseeing early on the 26th (Sun) so you can travel to Los Angeles. 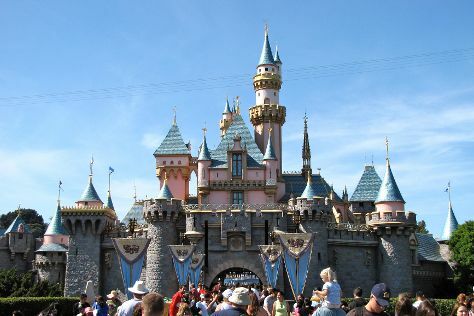 Take a break from Los Angeles with a short trip to Disneyland Park in Anaheim, about 36 minutes away. Pack the 28th (Tue) with family-friendly diversions at Universal Studios Hollywood. There's still lots to do: see the interesting displays at The Getty Center, see the sky in a new way at Griffith Observatory, stroll the grounds of Hollywood Forever Cemetery, and appreciate the extensive heritage of Santa Monica Pier. To see maps, ratings, photos, and tourist information, refer to the Los Angeles day trip planning website . Traveling by flight from Las Vegas to Los Angeles takes 4 hours. Alternatively, you can drive; or take a bus. Expect little chillier temperatures when traveling from Las Vegas in May; daily highs in Los Angeles reach 28°C and lows reach 17°C. Cap off your sightseeing on the 29th (Wed) early enough to travel to San Francisco. 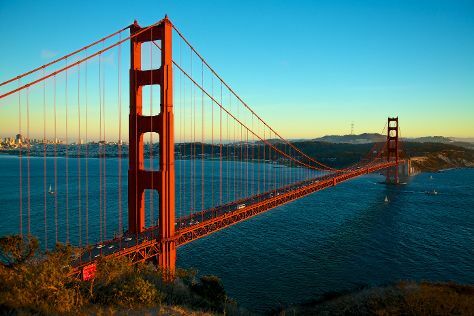 San Francisco is known for nature, museums, nightlife, shopping, and childrens museums. Your plan includes some of its best attractions: snap pictures at Golden Gate Bridge, don't miss a visit to Lombard Street, examine the collection at de Young Museum, and admire all the interesting features of AT&T Park. To find more things to do, maps, other places to visit, and other tourist information, refer to the San Francisco trip itinerary planner. Fly from Los Angeles to San Francisco in 4 hours. Alternatively, you can do a combination of flight and train; or drive. Plan for a bit cooler temperatures traveling from Los Angeles in May, with highs in San Francisco at 24°C and lows at 13°C. Cap off your sightseeing on the 1st (Sat) early enough to travel back home.